The Joint and Several Liability (JSL) notices, were introduced in 2016 to protect British businesses from being undercut by overseas sellers committing VAT evasion. Since then, HM Revenue and Customs (HMRC) has been able to crackdown on online tax evasion in the UK. The Government revealed that more than £200 million has been recovered in lost VAT from overseas sellers. 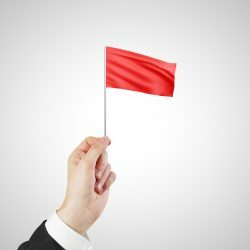 HMRC has a red flag system which notifies them when an online marketplace is using its platforms but not paying the correct VAT. Since the new rules of the JSL notices were put in place, there have been over 4,600 warnings issued by HMRC to online marketplaces such as Amazon and eBay. In the last two years, there have been a total of 7,000 investigations carried out by the UK’s tax authority on online merchants who have been evading sales taxes on goods sold in the UK. HMRC estimated that between £1 billion and £1.5 billion in collections were lost in 2017 by companies failing to pay sales taxes on goods. Moreover, figures revealed that between £600 million and £900 million of the unpaid taxes were coming from overseas sellers. As a result of HMRC enforcing a stricter system, there have been 58,000 VAT registration applications between 2017 and the end of 2018, compared to only 1,650 submissions between 2015 and 2016.